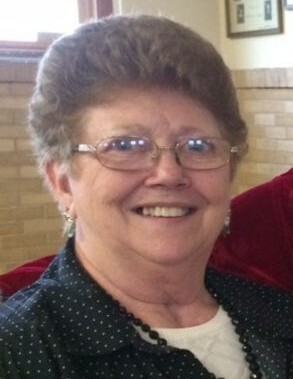 Norma "Jane" Kirby, 78 of Dubuque, Iowa passed away on October 13, 2018 at the University of Iowa Hospital and Clinics. Funeral mass will be at 10:30 a.m. Wednesday, October 17th, 2018 at St. Joseph Church Key West, with Rev. Rodney Allers officiating. Burial will follow in St. Aloysius Cemetery, South Garryowen. Visitation will be from 3:00 p.m. to 7:00 p.m. Tuesday, October 16th, 2018 at Leonard Funeral Home & Crematory, 2595 Rockdale Road where a parish wake service will be at 3:00 p.m.
She was born on July 5, 1940 in in Rickardsville, Iowa, the daughter of Bernard & Betty (Jacobsmeyer) Steffen. She was married on September 13, 1960 to Robert J. Kirby, Sr. at the South Garryowen Church in Bernard, Iowa. Jane was a farm wife for several years after retirement from farming she worked at Sears, Armstrong’s and as a Domestic Engineer. Her favorite job was working at Frog Hollow taking care of babies. She was a talented baker, crafter & cook. She was notorious as a pie maker and her hobbies included flower gardening, canning, and playing cards; she was also an avid Chicago Cub and Iowa Hawkeye fan. She was a loving mother, grandmother & great grandmother, and was an inspiration for her children. Jane was always thinking of her family and sending cards in the mail for all occasions and support. She is survived by her husband Robert Kirby Sr.; her children Mary Beth (Clark) Bastian, Penny (Richard) Capesuis, Bob Kirby and Brian (Joanne) Kirby. Her grandchildren Cassi Appelquist, Carly Capesius, Mitchell & Kortney Kirby, Leslee & Nathan Bastian, and Cody Kirby; Great Grandchildren Ava and Rayden Appelquist. Siblings, Bob (Melinda) Steffen, Mary "Mazie" (Mike) Arthofer, Gary (Patti) Steffen,, Phil (Vicki) Steffen; sister-in-law, Connie Steffen; brother-in-law Richard (Cindy) Kirby. In Lieu of flowers memorials may be made to the Research For The Kids (RTFK). RFTK directly benefits research programs for pediatric brain tumors and heart defects at the University of Iowa Stead Family Children's Hospital.